Pay-per-click (PPC) marketing can be one of the most effective or most frustrating ways to grow your business. Here at My Social Agency, we use PPC for a wide variety of clients, ranging from local nurseries to large national estate agency franchises. While our Adwords Optimisation is highly focused on even the tiniest detail within a PPC campaign, one thing is becoming more and more evident. A vast number of external companies, large and small, are simply throwing their money into paid advertising space within search listings; without really knowing what they are doing. Without effectively planning, actioning, measuring and analysing your campaigns, you can’t really prove how much ROI you have generated. After all, you may have brought in 150 new product sales last month, valuing at £1,500, but how much did you spend to achieve this? What was your average Cost Per Acquisition (CPA)? Could said CPA be drastically lowered with a few simple tweaks? Are your ads really relevant? These are the sort of questions every PPC marketer needs to be asking themselves in today’s competitive climate. What’s important to keep in mind when creating your ads is that even though the recently expanded text description allows, by far the largest amount of visible text, that does not mean you should target all of your top keywords and messaging within this section alone. Like any written content, headlines grab user’s attention. Let’s say you’re reading a blog, even this one for example, how many times do you skip through much of the jargon and find the headline which resonates with you? Well, PPC text ads are no different, and Google knows this. Bear the above in mind, and remember that Google are pretty much the online police, as well as the judge, jury and executioner. It’s fair to say they expect your content to be extremely well optimised, with headlines as grabbing as the content you are promoting. 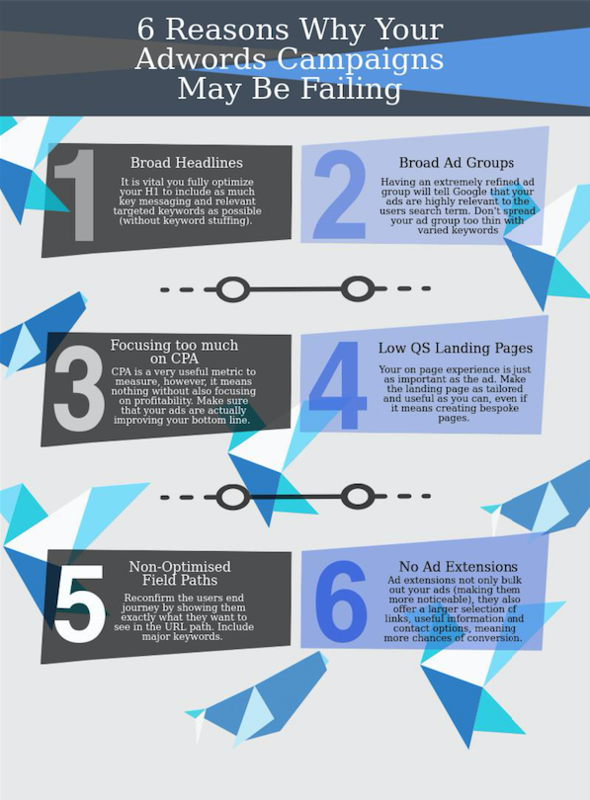 Now, when it comes to inputting headlines into an ad, you will notice you have the options of H1 and H2. It states within ad set up that the headlines are both 30 characters long, this doesn’t, however, guarantee that all of the second headline will show. It may get truncated depending on device and placement of where it is shown. With this in mind, it is vital you fully optimize your H1 to include as much key messaging and relevant targeted keywords as possible (without keyword stuffing). An Ad Group is formed by separating out the already ‘shortlisted’ keywords (initial phase of PPC campaign) into smaller keyword groups; when doing so, it is important to collate keywords that are highly relevant to one another. Ad groups should basically consist of the same keyword repeated with ever so slight alterations. For example, “Men’s Nike blue shoes, “blue Nike shoes for Men, “Blue Nike Mens Shoes”. You wouldn’t then add keywords such as “blue adidas shoes”, “blue shoes for men” or even “men’s shoes” into this ad group. This is because even though they are closely related, this technically isn’t what the user will have searched for. Having an extremely refined ad group will basically tell Google that your ads are highly relevant to the users search term. If you were to include a high number of varied keywords, your ad group will be spread way too thinly trying to serve the ad up to a large number of searches, therefore the ‘quality score’ will suffer and the ad underperform. So make sure you’re making as many refined ad groups as you can, including highly similar keywords. Sounds strange doesn’t it, that focusing too much on your target CPA can actually be a bad thing, well, let me explain. The past few years have seen a huge shift from maximising clicks, to maximising conversions/leads. While this is most definitely a step in the right direction, (after all, clicks don’t mean conversions), your cost per acquisition can also be a falsified metric, giving you a misguided sense of success. Think of it this way, let’s say you’re like us, a digital marketing agency, and your main goal from PPC advertising was to generate leads to then convert into direct sales. You may set yourself a target CPA of £50.00 per initial lead on a campaign level, which don’t get me wrong, can in fact be a good indicator. However, one major issue with focusing too heavily on vanity metrics such as CPA is that they don’t necessarily guarantee profitability. Instead of solely focusing on CPA, why not focus on profitability by tying all of your PPC activity to your bottom line? Understandably, focusing on profitability can be much more time consuming, and actually may involve collaborating with the sales team to do so. But in the long run, the insights you generate from learning things such as; what keywords drive the most sales, which of these keywords provide the most revenue, which keywords have the largest ‘post lead’ drop off, and what ads pull in the most converting leads. All of this is absolutely vital to truly optimising your PPC for actual bottom line profitability. Give it a try and see how it works for you. One of the often overlooked, yet highly relevant aspects to generating a good quality score is the Landing Page the ad is directing traffic toward. Now hands up, who has fallen into the trap of just using your home page to direct ads toward? Every keyword, or keyword grouping should be linked to a page focused on that particular topic or service area. Each individual ad needs to direct the user to a landing page that is as closely related to their initial search term as possible. Directing users to a home page, simply does not do this. As a rule, here at MSA we always create bespoke landing pages when running PPC campaigns with the end goal been client leads, and not product purchases. By creating your own stand alone web page, you are able to create and customise each step of the users journey to resonate with what they have initially searched for. As well as this, using tools such as Hot Jar and other web monitoring software, you can then physically watch what the user is doing on your landing page and make edits accordingly in an attempt to increase conversion rate. A pretty basic concept to pick up on, yet one that PPC marketers still aren’t utilising. The field path URL which you have the option to customise can actually have an effect on the overall click through rate. By optimising the field path to include relevant keywords that highly resonate with the user’s search query, you are essentially re-confirming the end destination to the user and therefore putting more confidence into the user’s decision to click your ad. It doesn’t take a genius to figure out that adding additional offerings and site links to already existing ads can ultimately improve click through rates. After all, the more options, the more likely you are to hit a user’s interest. This is where implementing ad extensions, on a granular, and also campaign level can help your ad success. It is important to note, however, that since the update in ad description text length, Google will now disregard any ad extension that reiterates that is said within the actual ad copy. This is where you need to be clever and provide completely different offerings, or useful information, that A, will be of interest to the user, and B, will add relevance and superiority to your ad over your competition. Which ad stands out more to you? By adding extensions, you are essentially ‘bigging up’ the amount of space your ad has to be see in search listings, ultimately catching the user’s eye. So don’t forget to implement them extensions into your campaign. Google Adwords can be an extremely effective tool to compliment any organic or multi channel paid marketing campaign, but it must be approached in a strategic and thoughtful manner. 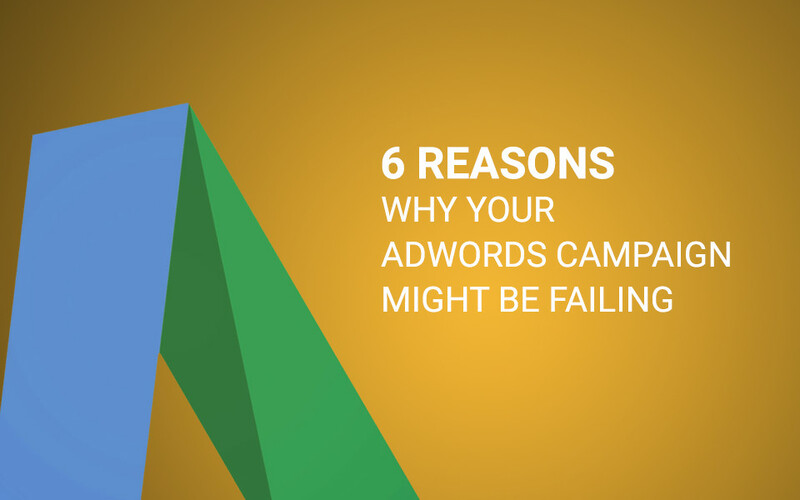 Simply throwing money into unoptimised ads can cause serious damage to your bottom line. If you aren’t 100% sure on how to fully optimise your PPC campaign, seek help from professionals. But first make sure you have mapped out a clear objective, target market and expectation. We are happy to provide consultation to your business regarding all of the above, so if you are in need of help with your paid activity, feel free to give us a call or get in touch today.